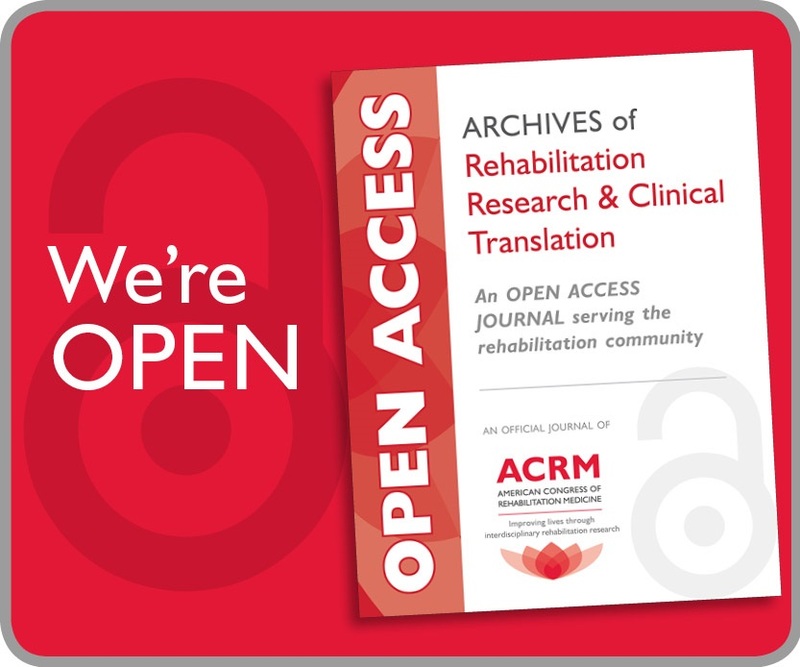 Offering 6 days of high-caliber, educational content for measurement, the ACRM 93rd Annual Conference, Progress in Rehabilitation Research (PIRR) is the LARGEST conference in the world for interdisciplinary rehabilitation research. The Core Conference and Pre-Conference agendas below highlight all content with a DIRECT focus on Measurement. 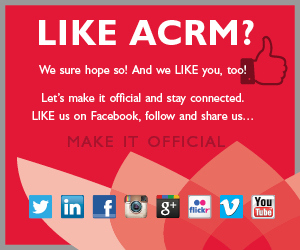 For specific sessions on Measurement and gobs of details (including presenters, session descriptions and schedules) see the ACRM APP, coming soon. 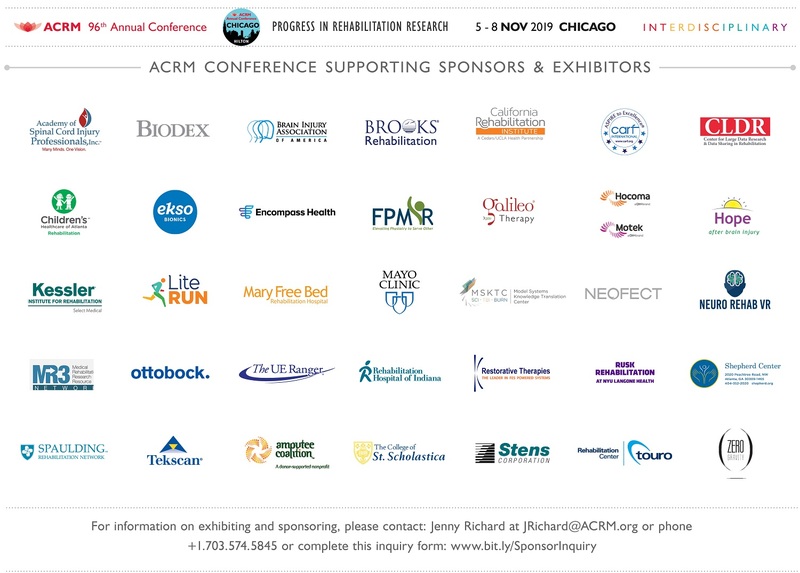 More than 30 hours of educational content focused on measurement will be presented in Chicago. Search the APP for full details or see the Program at-a-glance. 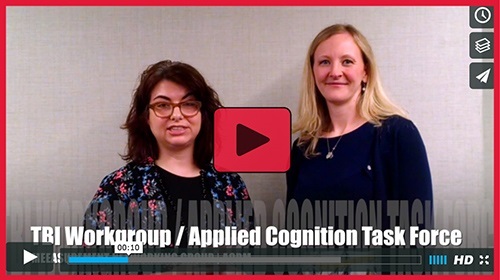 The Applied Cognition Task Force will host a presentation from the Geriatric Workgroup on Brain Gaming in Older Adults with Cognitive Impairments: Does it Work or Not? 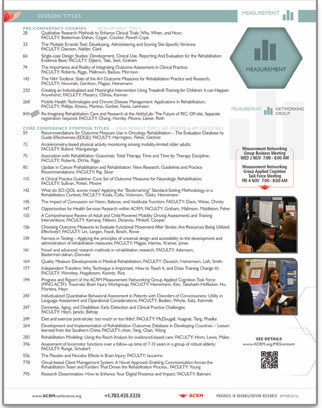 presented by Sandra Kletzel, PhD; Lilian Hoffecker, PhD, and Pallavi Sood, BPT, MSPO. 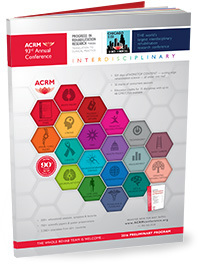 See the complete schedule of ACRM ISIG , networking group, and task force meetings and plan to join those that best align with your interest and expertise. *Many meetings are still being scheduled. Check back often for the latest details. It all begins on Sunday, 30 OCT with 3 days of in-depth Instructional Courses. Choose half-day or full-day courses with or without registration to the Core Conference. 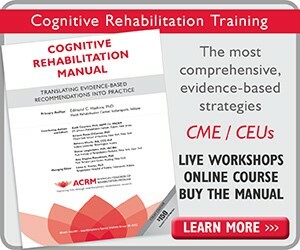 Continuing education credit is included. Separate registration required.